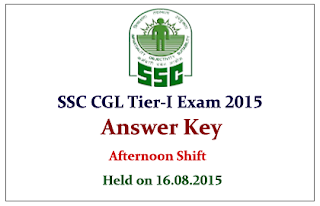 SSC CGL Exam was held on 16th August 2015. Those who are attend the examination eagerly waiting for the Answer key. Here you have the Answer key for a question paper.